I have two users now who, after opening Creo and logging in to PDMLink get a blank white screen where their PDMLink window should be. If they open a second session of Creo and log in, PDMLink shows up as expected, and they can close the first session. Any ideas? They aren't dead in the water, but the frustration level is high. > shows up as expected, and they can close the first session. Have they tried closing the browser tab and starting a new tab? > They aren't dead in the water, but the frustration level is high. We’re having this same issue with Creo 3 using the embedded Chrome browser. Like was mentioned below, closing the actual tab that the workspace is shown on and then reopening it (click on the workspace location under common folders) resolves the issue. We haven’t tried that yet – we’ll give it a shot. The following solved a white screen issue at my company. I am not sure it will solve your problem. 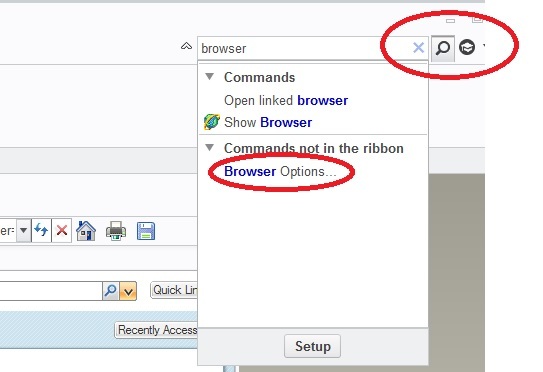 To fix this issue, within Creo Parametric, at the top of the screen, the user can expand the Command Search field, type in Browser Options, and select the icon in the drop down list. The Options window opens. If the Workspace still doesn’t load, close down Creo Parametric. Re-launch Creo Parametric, log into the Windchill-PDMLink server, and select Workspace. The Workspace should be accessible. Could you add some screenshots? I can't find the 'Command Search field', where 'Browser Options' has to be typed in. Thanks for this workaround, it works for me. I would still like to see a proper fix, having to do this every time the issue arises & restarting Creo isn't exactly ideal. Could it be the cache size making problems? Might be worth it testing increasing/decreasing this. Hugo: I think the command search is a Creo invention, not available in ProE WF5. According to https://support.ptc.com/appserver/cs/view/solution.jsp?n=CS168586 this has been fixed in Creo 2 M120 and Creo 3. I see you were on M110. We've just updated to Creo 2 M150, from M110. No issues yet, but it hasn't been long enough to call it resolved. I know that this is an old post but for us, we always got white pages if, in the previous session the user opened 2 Creo sessions. It seems that Creo doesn't like to be connected to the plm and to have two session opened at the same time. 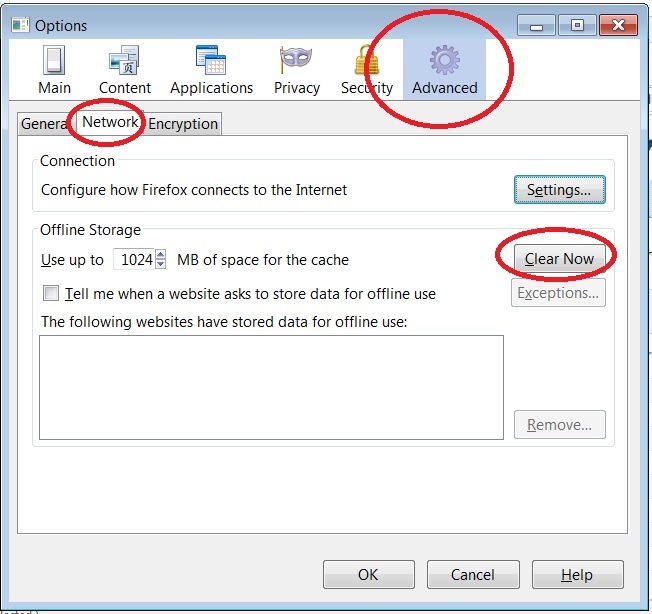 I have tried the solution to empty the Offline storage, and it's works after a refresh of the browser page! thanks for this new tip!